To be able to updated in near real-time the EBP viewer by the end of the year (a key objective of the LIFE EBP project), it is vital to automate the data flow between the different local online portals and the central EBP database repository. And this is the main objective of LIFE EBP project Action A6. The task is advancing well and currently the BirdTrack and Ornitho online systems are already connected to the central EBP database repository. This is particularly important since these two systems collect c.60% of all the EBP data and the experience gained with them will be very useful for the next stages of development of this action. 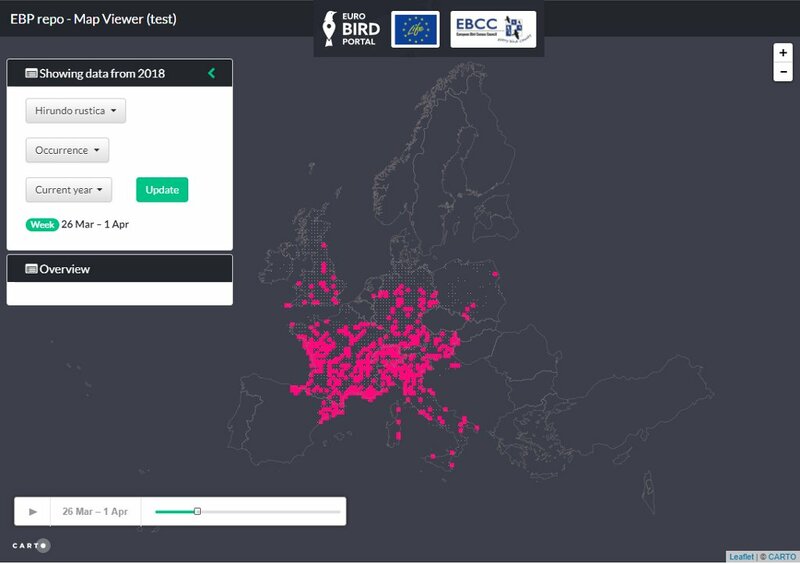 Furthermore, we have developed a real-time test viewer (the basis of the future version of the EBP viewer) that is already working with the data submitted by BirdTrack and Ornitho in near real-time. The results are promising and we expect to put the beta version of this viewer available to the EBP partners during early summer.